Fill a large bowl with cold water and ice. 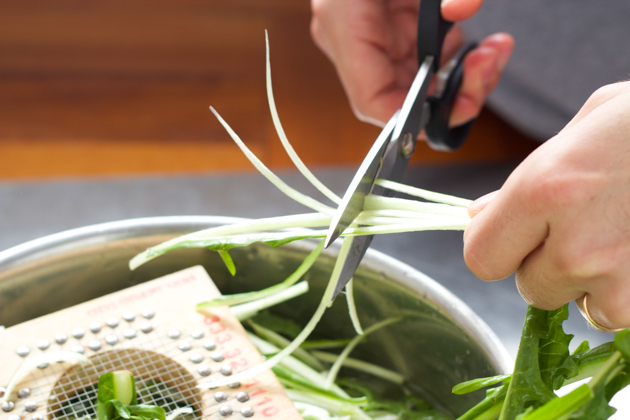 Cut the leaves from the puntarelle and begin to slice off the tender stalks from the puntarelle. 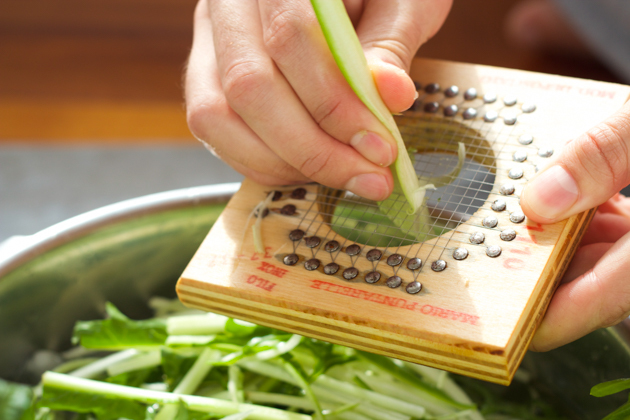 Cut into matchsticks either with a knife or using a puntarelle cutter. 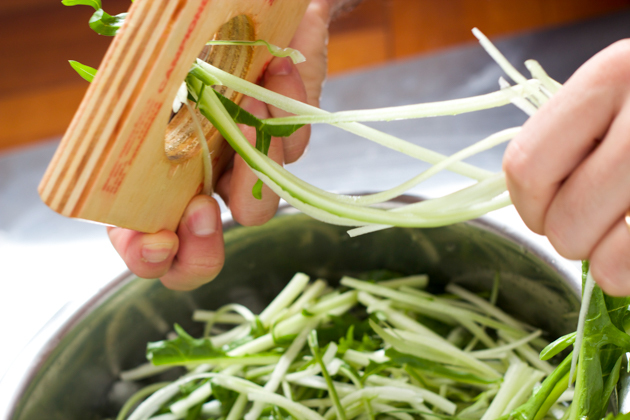 Discard the hard woody part of the puntarelle. 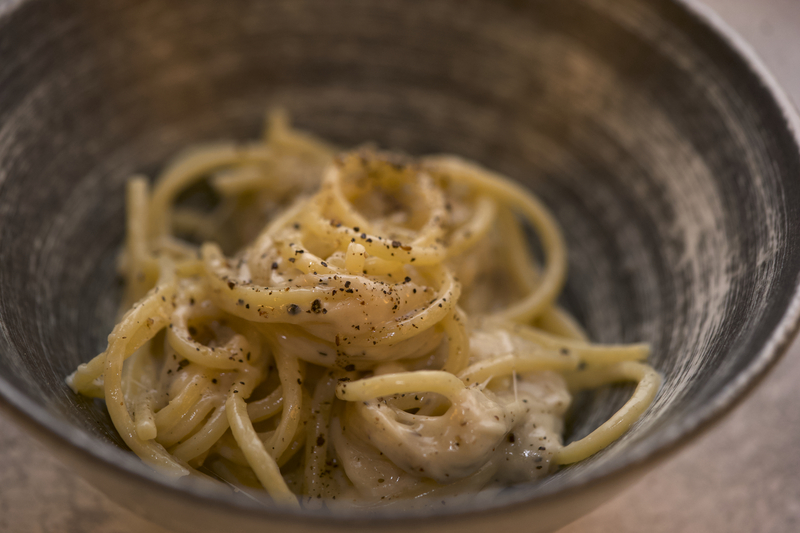 Add the puntarelle to the ice water to leech the bitterness out. 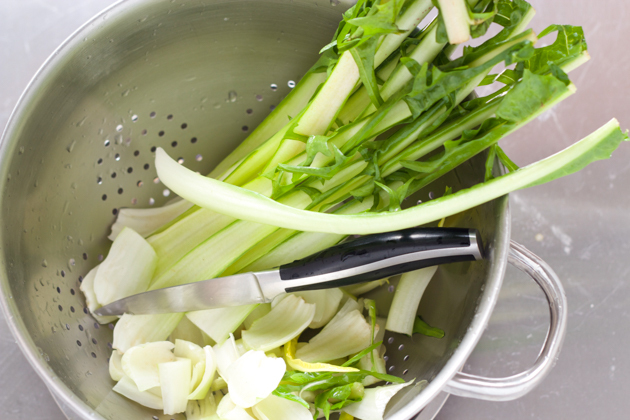 Add the puntarelle to the ice water and soak until it curls up, about 1 hour. 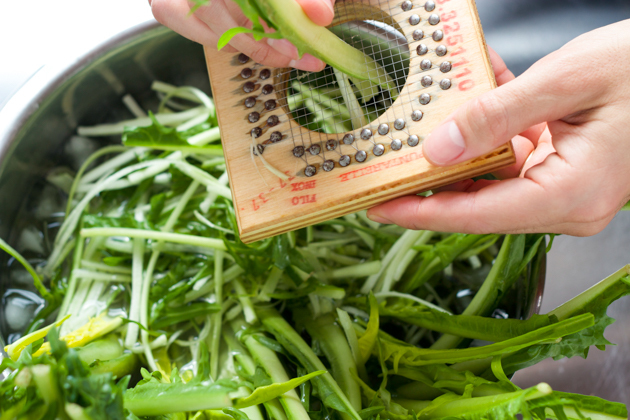 When the puntarelle are ready, strain in a colander, and spin them dry in a salad spinner or dry with tea towels.